His name is Chris Morgan Abah Ochogwu, does it sounds familiar? Yes, he’s a multi-talented gospel singer, songwriter, composer, and performer with a call from God to embark on the journey of restoring true worship to the body of Christ. He is the brian behind “WORSHIP ON THE HILLS OF AFRICA” a vision that is dedicated to raising people to worship God in spirit and in truth. The Orokam-Born Benue State singer is no doubt an accomplished music minister, whose songs are filled with the divine presence of God, with great lyrical depth and inspiration and a great message of hope for our generation. Morgan has also ministered on the same platform with great international gospel Singers like: Ron Kenoly, Lionel Peterson, Dr Panam Percy Paul and Donnie McClurkin. Since stepping into the gospel podium, the Ifeoma crooner has continue to carve a niche for himself in by marking the beginning of a new worship trend in Africa. 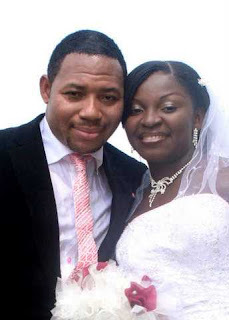 The Abuja-based gospel artiste is happily married to Queen Eunice.